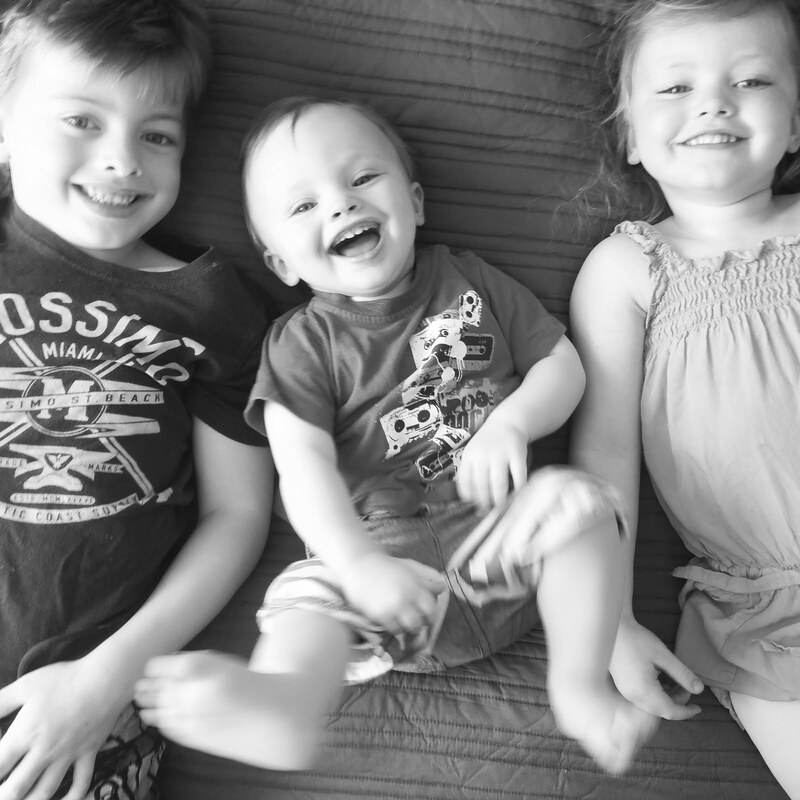 I love my kids, don't get me wrong, but 7 weeks of summer holidays was a very long time. It was also the longest time that all my children have been home for. In the past we went to childcare, as I worked, so there was never a prolonged period of time when we were all at home. Everyone was starting to get in each others way. Sometimes there is too much time you can spend with another person and I think my kids were starting to feel that way towards each other. 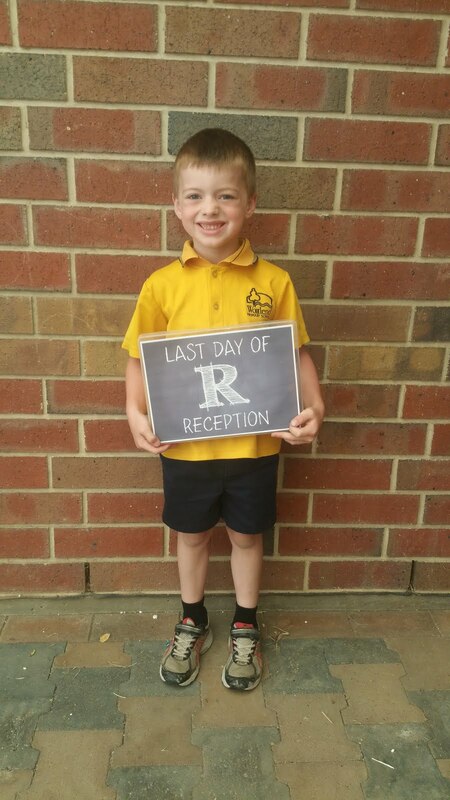 So I felt myself breath a sigh of relief as I said 'goodbye' to my eldest at his classroom this morning. Last year was a different story. I was so worried sending my little boy off into the big world of school all by himself. I was the nervous parent who didn't want to leave, and then spent the day watching the clock waiting for pick up time. It turns out he was OK. 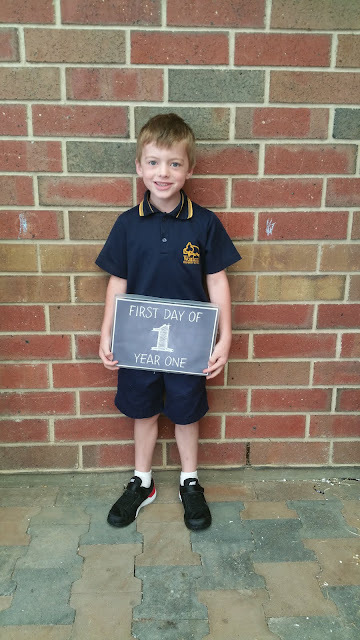 It did take him a few weeks to adjust and settle into a new and unfamiliar environment, but by the end of the year I couldn't even remember that scared little boy. This year he was so happy and confident that it rubbed off on all of us and the first morning couldn't have gone smoother. He was so happy to see some old friends and check out his new classroom that I felt so much better dropping him off. 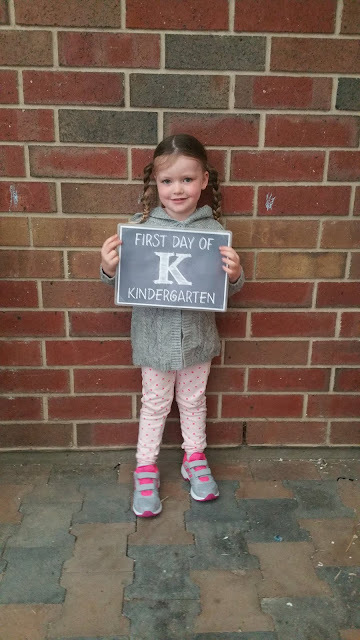 Now we just have to hope that when my daughter starts her first day of Kindergarten tomorrow it will be just as stress-free. 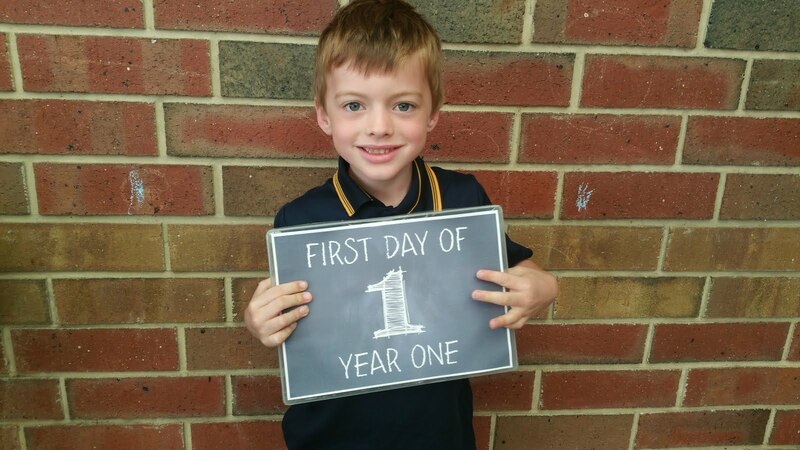 As it's Back To School Day here in South Australia I have made a FREE printable available. My chalkboard first and last day signs. They are super cute and make for some wonderful photos before school. It is so great to be able to look back and see how much they have grown! I also have some instructions on this quick and easy first day of school DIY t-shirt I made last year. You need a plain white Men's or Women's size S, M or L (depending on how big you think your 18 year old child will be). I got mine from Target for $4, and a packet of Avery InkJet Iron-On Dark T-Shirt Transfers. I like to use the dark t-shirt type as it doesn't need to be reversed and I find that it creates a much nicer transfer. 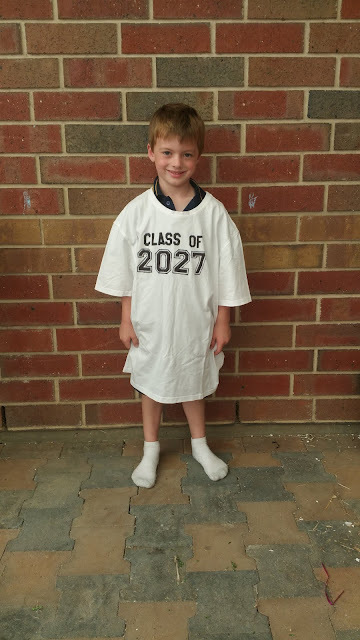 Then you just print off the graduating year (CLASS OF 2027 - CLASS OF 2028 for this year) onto your transfer sheet . I used the font High School USA Sans for the CLASS OF and Collegiate Heavy Outline for the year. I used my Silhouette Cameo to use out each of the letters, but you can just use a pair of scissors if you don't have one. Once you have all the letters individually cut, line them up onto the front of the top and follow the directions to adhere them to the top. A keepsake t-shirt you can photograph your child in on the first day of each year. The purpose is that as they grow they slowly start to fit into the t-shirt until finally on their last, first day of school is should hopefully fit them! If it doesn't I'm sure that would make for some equally as treasured and probably hilarious photos. 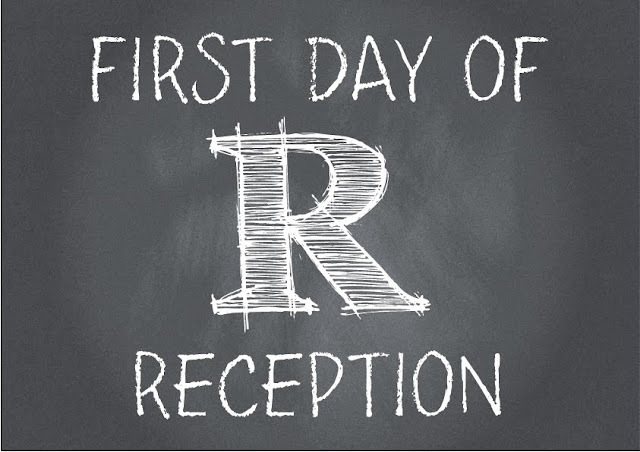 So anyone waiting for the first day to finish, or those who still haven't started yet, we are all here for you. It is a scary and nerve racking time, but one that we've all been through. What great ideas! Thanks so much for sharing with us at Merry Monday.